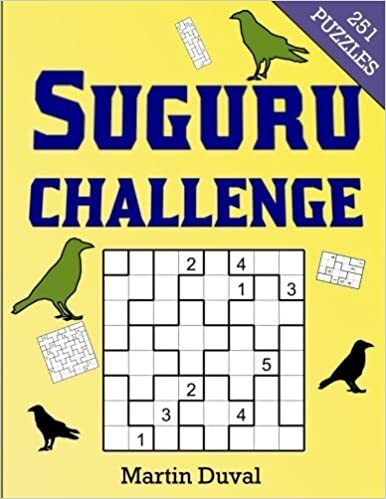 As the name indicates, this book contains Giant Suguru puzzles from size 16x16 up to 20X20. If you like Suguru and want to last the pleasure, this book is for you. You will have a lot of pleasure doing these puzzles. This book has 100 puzzles !! This is the kind of puzzle that you could find is this book, this is a 18x18 Suguru. This is four new Suguru puzzles of 6x8 size (Rules of Suguru). The first two are relatively easy but for the last two yo need the advanced technic described at technic-1-election.htm. 3) The following puzzles need the election tecnic. 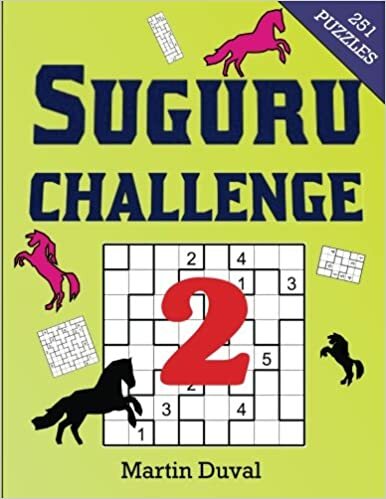 I have published three books about Suguru subtlety named Suguru Challenge, Suguru Challenge v 2 and Suguru Challenge v 3. . They are full of Suguru puzzles, in fact 251, of various size and level of difficulty. These books will fill you with happiness. I can not let you without Suguru before Christmas time. Consequently, this is two Suguru puzzles (Rules of Suguru), you dont need the advanced technics to solved them. But it doesnt mean that they are without challenges. ! The first one is pretty calm with a size of 7X7. 2) This one is of size 8X16. In case you were unaware, I have published two Suguru books, subtlety named Suguru Challenge and Suguru Challenge v 2. They have plenty of Suguru puzzles, in fact 251, of various size and level of difficulty. These books will fill you with happiness.